Discussion in 'Time Slip Data Base - Sponsored by Sydney Dragway' started by Garth, May 12, 2009. 3380lbs granny launch, fried through second hit limiter both gears(dam low limiter 5500). Man I need an LSD. Vh,304,268 cam,3.45:1, eBay tuned lol. Genie headers standard cat 3" catback single muffler. Ksport coilovers front rear airbags. 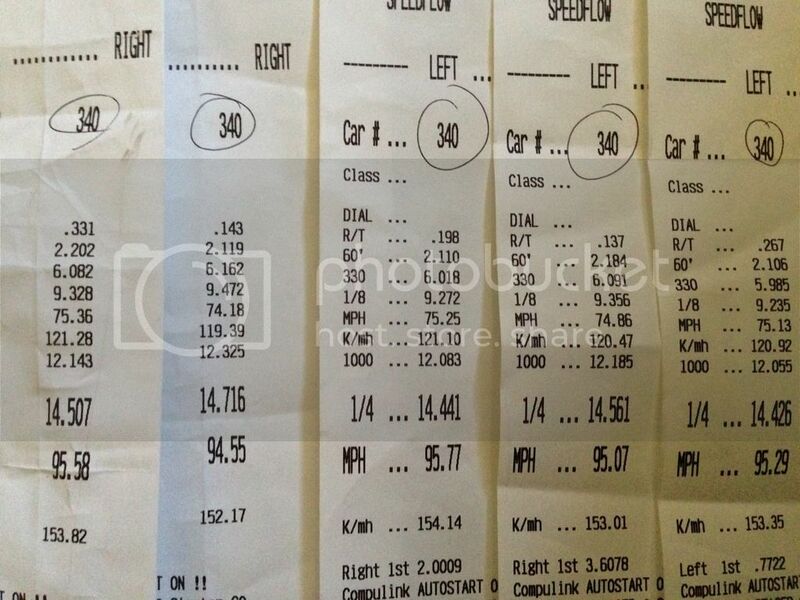 new PB = 2.108 60ft, 13.846qtr @ a slowing 93.39mph. Possibly had a 13.7 in it if I had kept the boot sunk.